Moshi Moshi Productions | Parties that Rock the Party! Need to impress your attendees? We can custom design an event that your audience will look forward to year after year! We throw parties like you’ve never seen! Fully themed, high impact events that will blow you away! No matter what kind of event you’re planning, we will deliver an experience that you and your guests will never forget! Whether you need add light and sound to a small room or throw a festival, we have you covered. We can provide the highest quality equipment and best technicians to ensure your event looks and sounds how it should! tailored to specific themes: sometimes in correlation with convention themes and sometimes adding a signature mark. I’ve attended events with themes from Star Wars to DC to 80’s cartoons and every party has a very fun vibe, appealing to audiences unfamiliar with the theme and even appealing to the most die hard fan of the genre. “Attending a Moshi Moshi productions event isn’t just like going to any ordinary party. Moshi Moshi puts their attendees in the middle of a completely immersive experience unlike any other – whether it be the middle of a zombie apocalypse, an alien invasion or the 80’s. I love this extra effort and I’ve loved every one of the events they have put on. 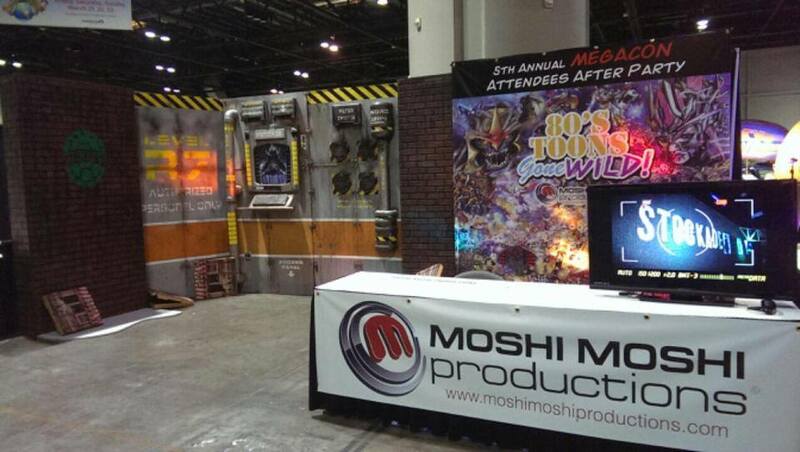 “Moshi throws the best events for comic cons, Walking Dead parties and whatever kind of bash you’re looking to put on or attend! I had the privilege of attending one of Moshi’s first parties back in 2008 and I had so much fun that we’ve been friends ever since. He’s even hosted the VIP party for Florida’s biggest Power Ranger Con known as RangerStop! So if you want to throw a party with the best music, activities and of course the biggest turn out, you need Florida’s premiere Event Coordinator! “There are parties and then there are Moshi Parties. I’ve attended outstanding events around the globe but nothing compares to what Moshi gets up to. Actor - "The Walking Dead"
Feel free to reach out to us with any inquires you may have.